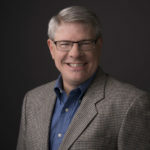 NASHVILLE, Tenn. — LifeWay Christian Resources board chairman Jimmy Scroggins announced today that trustees have asked Executive Vice President Brad Waggoner to serve as acting president and CEO of LifeWay until a new president is named. Waggoner will serve in the role previously held by Thom S. Rainer who announced his retirement in August 2018. Scroggins shared his appreciation for Rainer and his faithfulness to serve the Lord. “On behalf of the board, let me say how thankful we are for Dr. Rainer’s courageous leadership over the past 13 years. “Since announcing his retirement, he has continued to serve during the presidential search process with unwavering determination to prepare the way for the next leader,” Scroggins said. “In recent weeks, Dr. Rainer expressed a desire to move forward with his retirement effective February 28, 2019. Scroggins said, “the search committee’s work is on track, and we look forward to naming a new president in the near future.” He explained that according to LifeWay’s bylaws, in the absence of a president, the executive vice president is to serve as acting president. Since 2010 Waggoner has served as LifeWay’s executive vice president and COO, overseeing daily operations and helping provide strategic leadership of the organization. “It is an honor and privilege to take this role, even for a short season,” Waggoner said. “I’m thankful for the opportunity to have served alongside Dr. Rainer these past several years. The courage he has displayed to make difficult decisions during his tenure and do the right thing for this organization has been a source of encouragement to me.